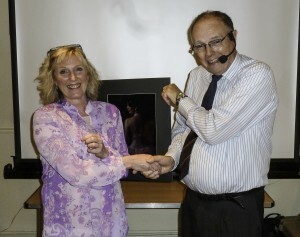 The 2014 Jim Davis Trophy was won by Jennine Boon with her print entitled “Perfectly Poised” which judge Roy Thomas decided was the best overall photograph for the “High Key or Low Key” themed monthly competition. Jennine Boon - Perfectly Poised – 1st placed print and overall winner. 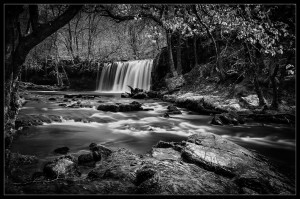 Alan Shepherd has won a Gold Medal in the 91st Scottish Print salon with his monochrome print entitled “The Waterfall”. Well done Alan! Here are the results for the 2014 Gwynfa Winter Exhibition. The judge was Jill Baxter of Tenby. All four photos go forward to our Picture of the Year competition in December. Huge thanks to Exhibition Office Heidi Stewart and Alec Stewart for all their hard work in framing, hanging and finally removing the photos.